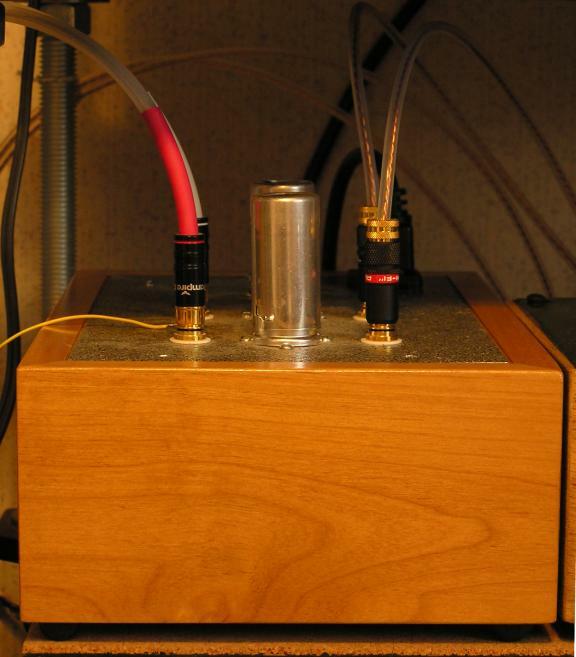 My phono preamp is the Seduction from Electronic Tonalities. I heard 3 different Seductions at the 10/2002 NW VALVE meeting and was very impressed. Great sound and very quiet. It is a very simple nicely layed out design. The potential for tweaking made my mind wander. In other words, I decided to replace my Curcio Sarah with a Seduction. My kit arrived in 2/2003 and took me about 9 hours to build. I am using the Stevens and Billington TX103 step-up transformers from Bent Audio. I have them wired for 1:20. I originally had a lot of hum coming from these. The hum was killed by using shielded interconnects from the TX103 outputs to the Seduction inputs. I added shielding to a 1/2 metre of Entwined cables for this purpose. I also connected the TX103 ground to the Seduction ground. I added the constant current sources as soon as Doc released them. The changes included: increased gain, better defined and deeper bass, clearer highs and just plain better definition.